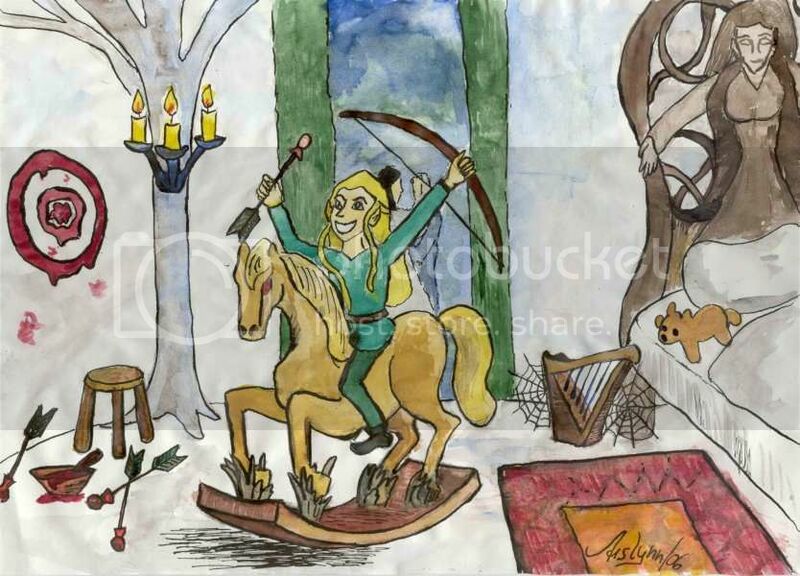 This charming depiction of the childhood of Legolas Thranduilion was created by Aislynn Crowdaughter as a Begetting Day present for Yours Truly, and it originally appeared on her LiveJournal. It illustrates the universal truth that the best laid plans of mice, men, Elves and parents will oft go astray. Thranduil Oropherion planned for his son to be a bard or a scholar. Young Legolas had other ideas. My delighted thanks go to Aislynn! Yes, I loved the blood!